Your One Stop Smile Shop! Invisalign is an excellent alternative to conventional braces. Adults and teens choose Invisalign clear aligners for the convenient features it offers. Popular benefits include almost invisible aligners, eating anything you want and removing them when needed. These conveniences sometimes have minor drawbacks when traveling. 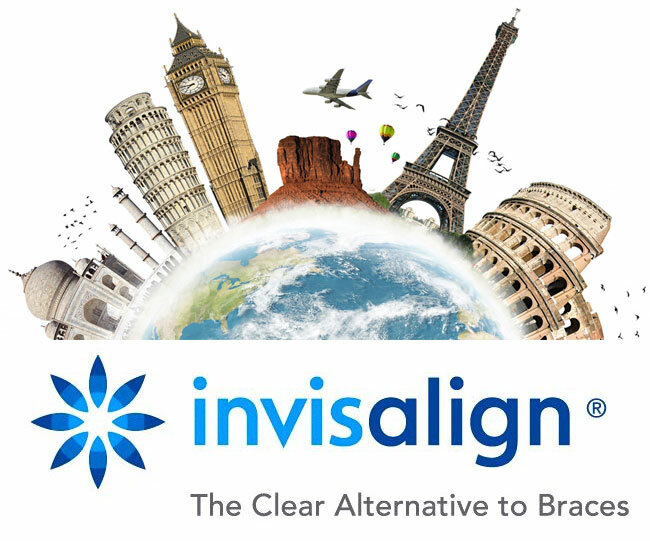 The following information will help you travel successfully with Invisalign. You need to continue your regular dental hygiene routine while traveling. Bring along your toothbrush, floss, and mouthwash on your trip. These are basic necessities in general, but they are also directly related to proper hygiene with your Invisalign aligners. You need to brush after every meal or snack before placing the aligners back into your mouth. If not, you risk trapping food particles between the aligner and your teeth which leads to plaque, bacteria growth and decay. Traveling can put you in awkward situations that prevent you from caring for your aligners properly. You might need to eat while on the plane but don’t have the opportunity to brush or floss afterward before inserting the aligners back into place. In this type of situation use a fresh bottle or glass of water to rinse your mouth out. Basically, you want to swish the water around a bit before swallowing. This is a discreet way to remove food particles from teeth. Pack paper cups that are large enough to fit your aligners easily. Use one paper cup per day to soak your aligners with a denture tablet to remove bacteria and keep them clean. You might enjoy a hot cup of coffee or a glass of wine before getting on the plane, but if you don’t have the opportunity to remove your aligners before consuming the beverage, you need to drink water only. Hot beverages can damage the aligners and wine can cause stains. Never drink any other beverage besides water when wearing your aligners. Generally, patients who use Invisalign aligners are instructed to change them every two weeks for best results. If your trip is going to be longer than two weeks, you need to be prepared. You want to bring your current set and next set of aligners every time you travel, even if you don’t expect to be gone for two weeks. This safety measure will prevent you from skipping days and set your progress back. Always pack aligners in your carry-on bag or purse. Never pack them in checked luggage. As you know, airlines are famous for delayed or lost luggage. If your aligners are in the lost luggage, you won’t have access to them for days or longer. Traveling with Invisalign gets easier every time. Once you create your own routine and follow the tips shown above, you will travel with ease during your treatment. Dr. Jacquie Smiles in an Invisalign Elite Premier Provider in NYC. She has been recognized as a top provider every year since 2003. 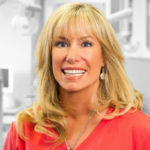 Dr. Jacquie Smiles is a top rated orthodontist in NYC area. She has completed her DMD degree and orthodontic residency at Boston University and after graduation became the first female and youngest Director of B.U.’s Predoctoral Orthodontic Department. If you are interested in Invisalign consultation in NYC, please contact the offices of Dr. Jacquie Smiles today for an appointment by calling 212-972-3522 or filling out the contact form to receive additional information. Her office is conveniently located near 30 East 40th Street Park Avenue, New York, NY 10016. 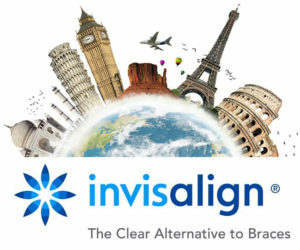 If you have any questions about traveling with Invisalign, please call us today. Our friendly staff is ready to help!